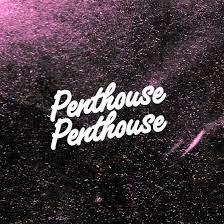 So the new Penthouse Besides EP is out now and there's really no reason as to why you shouldn't give this a listen. LA based producers and heads of the multi-talented collective Team Supreme have blessed us all with their new EP "Besides". This EP contains tracks that make you want to make a baby, to beats that make you want to turn up and lay some bars down. You're sadly mistaken if you think these dudes use samples, they sure as hell know how to play the funky bass and lay down some amazing guitar riffs. Don't underestimate the baby making music, they know how to get loud and buck wild with their hip hop and trap beats as well. All I can really say is that if you haven't heard of Penthouse Penthouse, you've been missing out and should listen to their wide range in genres. Go and pick up this EP and I'm sure it will be on repeat for a while.